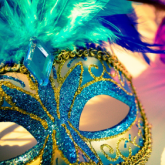 This year on February 28th, a 17th-century old event known as Mardi Gras, or “Fat Tuesday” will take place. On this day people from all over the world will participate in festivals and celebrations where they’ll overindulge before the Christian ritual of fasting and giving up luxuries for Lent, begins. While your next recruiting event may not have as much food, religion, or history as Mardi Gras does, there are three traditions from the day that can help you better connect with your candidates. Flambeaux, which signifies flame-torch, is the tradition where people carried firelit rope through the streets to light the way for floats and allow festivities to continue even after the sun went down. As a recruiter, it is your job to advertise events and have information about the benefits of working for your company easily accessible (among your large list of other responsibilities). With an already busy schedule, you can save valuable time and energy by streamlining hiring tasks through an event management system. Two ways to help “light the way” for your candidates is to first, share event profiles to job boards that allow candidates to pre-register and second, use automated and branded emails to engage with potential candidates. Masks are a fundamental part of Mardi Gras culture. Representing celebrations from hundreds of years ago, people wore masks to escape class constraints and mingle with people from different social classes. While we do not recommend wearing masks when speaking with your candidates, we do recommend gaining more time face-to-face with them. Having a kiosk at your event can give candidates who pre-registered the ability to check themselves in. By entering their own information and resume into the kiosk, you can spend your time doing what matters most, interacting with the potential new hire in front of you. With all of your candidates’ information captured virtually, when it comes time to talk with the next candidate, your conversation can be tailored to the position they would like to know more about, encouraging a higher applicant conversion. In 1872, King Rex wanted to use the royal colors for his Carnival celebration—purple for justice, green for faith, and gold for power. Beads with those colors were then tossed to those celebrating. The color beads that one caught were said to represent the color’s meaning and they would bring good luck. If only finding candidates and knowing what they were all about, in addition to their work abilities, was as easy as finding people wearing the color beads that represented their company’s values. If only. Instead, hiring candidates is complex and there is a lot to consider. For example, according to Hiring Insights, recruiters reported spending an average of 5+ hours per week related to manual and/or redundant data entry. To ease the recruitment process, iCIMS Connect’s Recruiter Review feature allows you to search, tag, or rate a candidate in real-time via your mobile phone. This means no more writing on resumes and holding huge stacks of paper. This functionality seamlessly works in conjunction with Connect’s Candidate Kiosk, too. Additionally, Connect’s Candidate Activity Level shows you which candidates are the most actively engaged. To take things a step further, users can view a detailed and reportable list of candidates and the information that was parsed from your kiosk after all of your events. This can speed up the review process and enable you to focus on reaching out to the most qualified candidates first. There is no longer a need for you or any other recruiter to jump through hoops or “catch beads” to locate the best candidates for your open positions. With iCIMS Connect, you can easily use one system to capture everything: advertise events, allow candidates to pre-register, and gain insight into your event’s success. When you win the war on talent then you too can celebrate Mardi Gras style.